Studio portrait of 4484 Corporal (Cpl) , 8th Field Company Engineers. 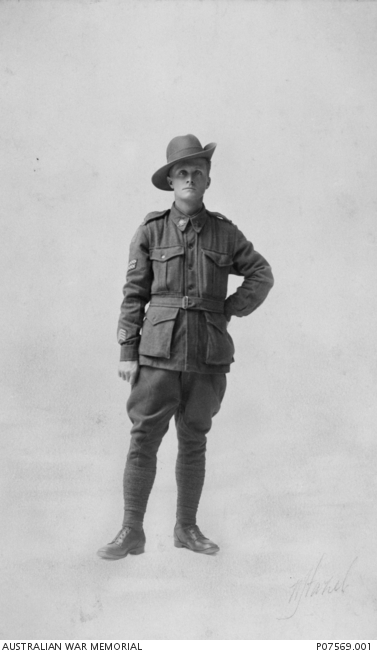 Cpl Anderson, a carpenter from Rozelle NSW, enlisted on 13 February 1915. He served on Gallipoli and later in France where he was gassed in May 1918. Cpl Anderson died of pneumonia in England on 5 October 1918 aged 29 and is buried in Barford St Martin Cemetery in Wiltshire.